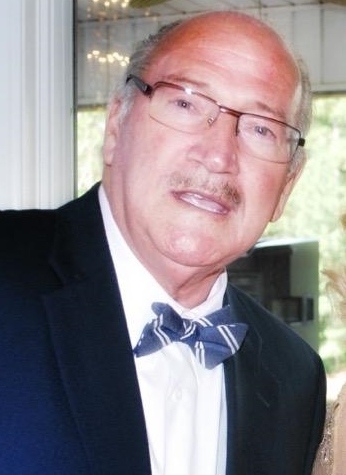 Johnnie Lee Shaw, age 77 of McColl, SC passed away, Tuesday, March 19, 2019. Funeral services will be conducted at 3:00 p.m., Friday, March 22, 2019 at McColl Church of God. Burial will follow in Rogers Cemetery. Johnnie was born March 7, 1942 in Darlington, SC to the late John Carl Shaw and Kate Weatherford Shaw. He was a veteran who proudly served in the United States Army. He was a member of the McColl Church of God. Johnnie had a great faith in God and never missed a church service until his later days and could no longer physically attend. He enjoyed going to the Fisher of Men Breakfast Prayer Club and to the VFW Hut. Johnnie enjoyed listening to gospel music, hunting, fishing, and gardening. He had a great love for his cat, Tiny Girl. Johnnie loved his family and friends and will truly be missed. Along with his parents, he is preceded in death by his daughter, Jennifer Annette Shaw; sister, Mary Frances Shaw and brother, David Shaw. He leaves behind to cherish many memories, Barbara Shelley, a dear and loved special friend; her children, Billy Shelley (Carol), Mark Shelley, Theresa Odom (Verd); grandchildren, Brian Farin, Rayna Shelley and Justin Shelley. He leaves behind a son, Raymond Shaw (Kim), grandchildren, Craig, Kimberlin and Rebekah and three great grandchildren; son, Jonathan Shaw (Melissa) and grandson Justin; brothers, Lonnie Lee Shaw (Loretta), Roy Shaw (Dee), Randy Shaw; sisters, Helen McCracken (Larry), Linda Shaw and friend, Mike Young, Peggy Lewellen; along with many nieces, nephews and friends.